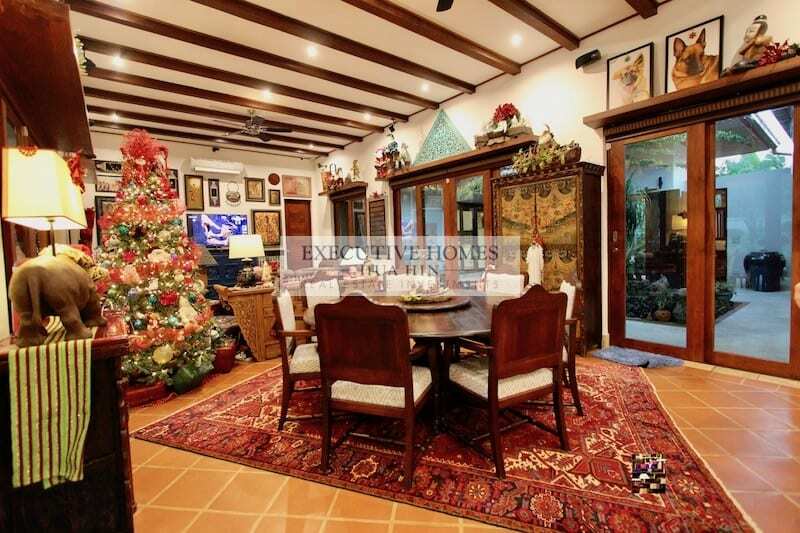 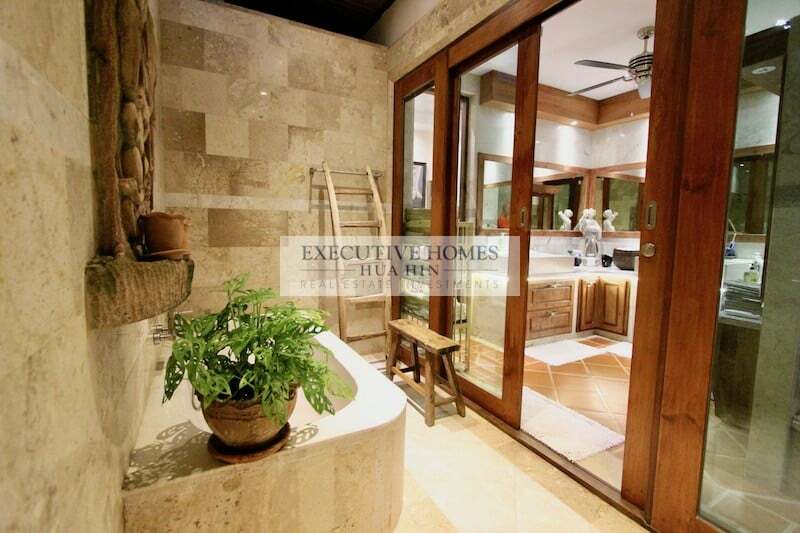 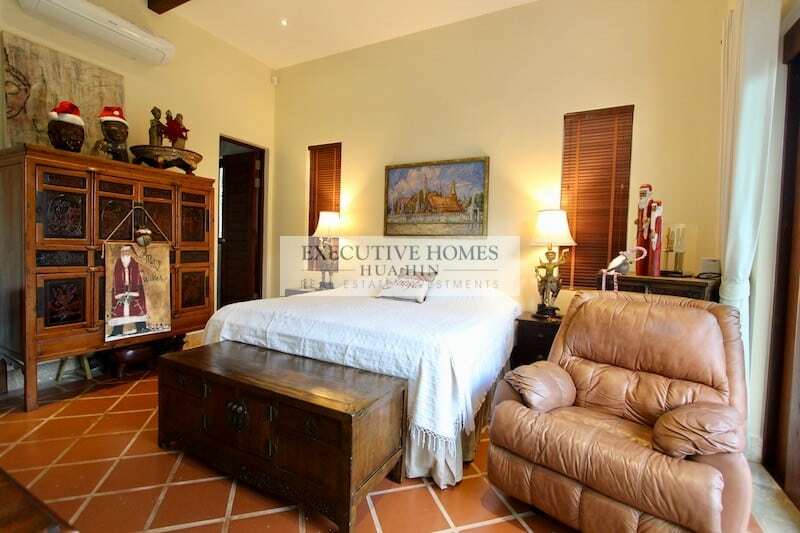 This beautiful estate has been perfectly planned and executed to the highest standard. 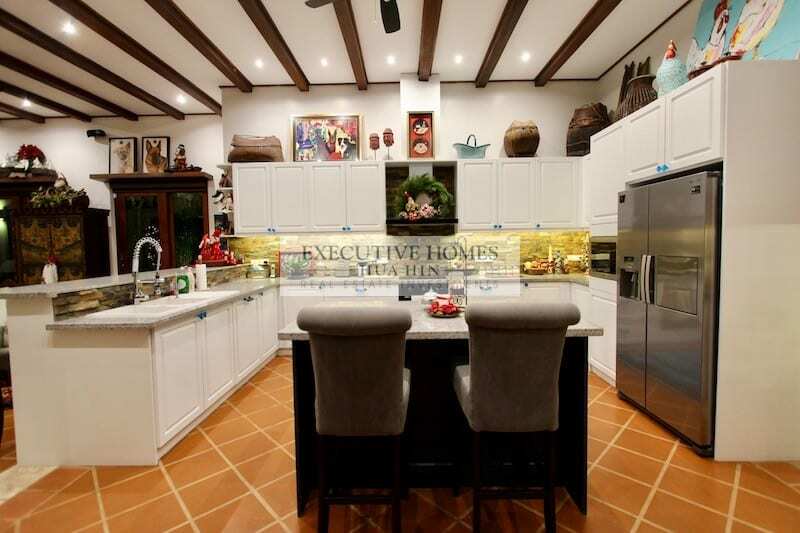 Absolutely every detail has been considered in this home, and the result shows: it is well-laid out, efficient to maintain (with solar panels already installed), spacious with room for every homeowner’s needs; and more than enough storage throughout. 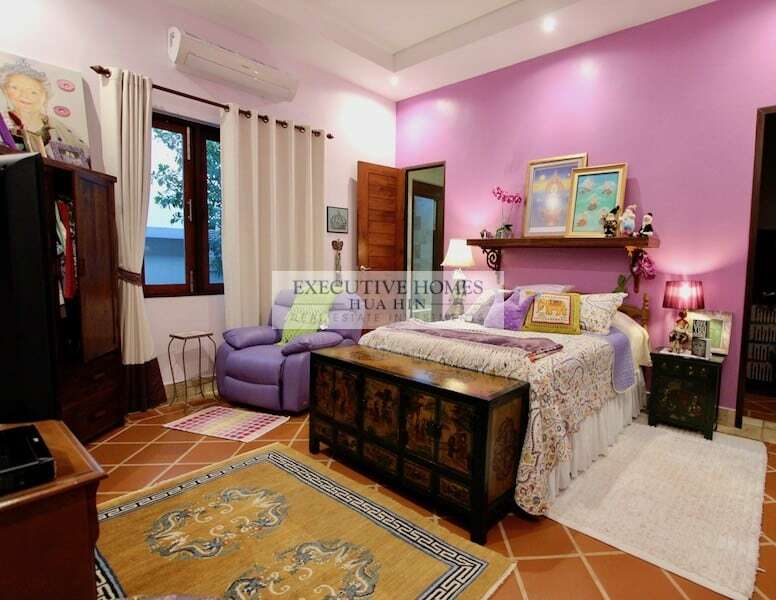 The home is large, but is also comfortable and cozy, with a wonderfully inviting feel. 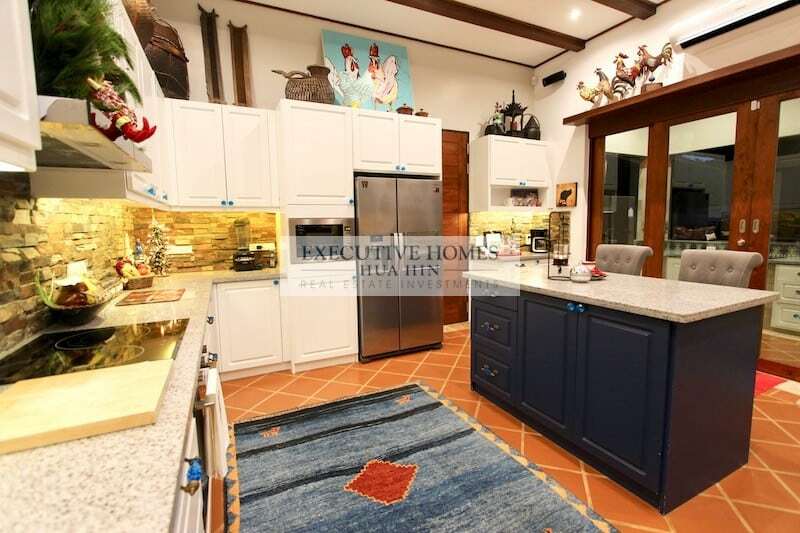 There are large areas for the entire family to come together, and there are also many spaces and rooms for everyone to enjoy their particular hobby, craft or activity. 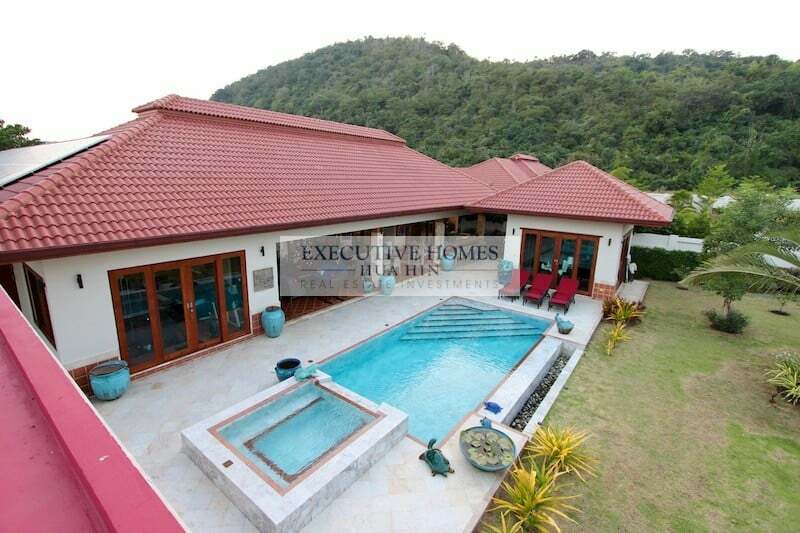 The 15 meter long swimming pool with separate jacuzzi; and a lush tropical garden with great views of the nearby mountain. 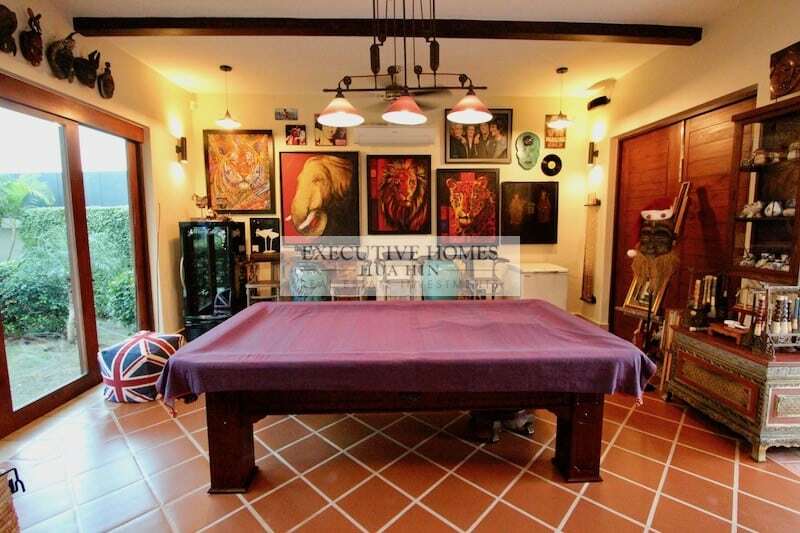 A games room with a brand-new pool table; above this is a rooftop terrace with spectacular views of the surrounding mountains. 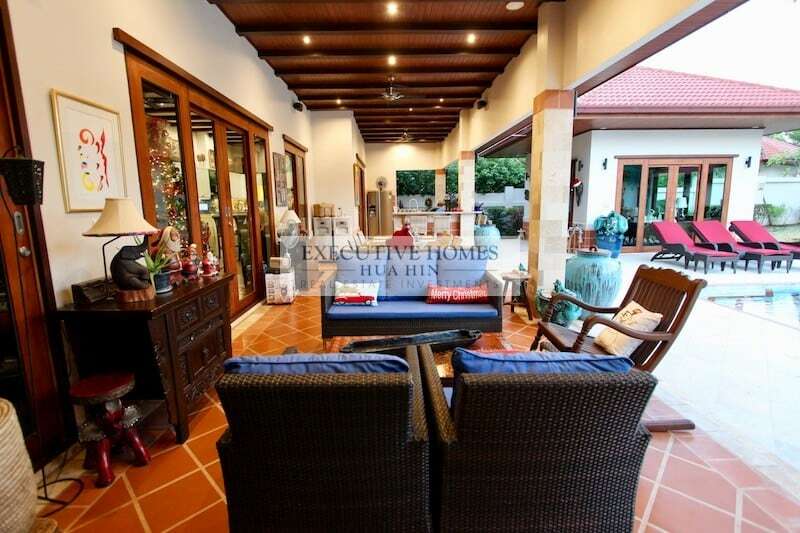 Additionally, there is also a covered, double carport plus a wood trellis which can accommodate several bicycles and motorcycles. 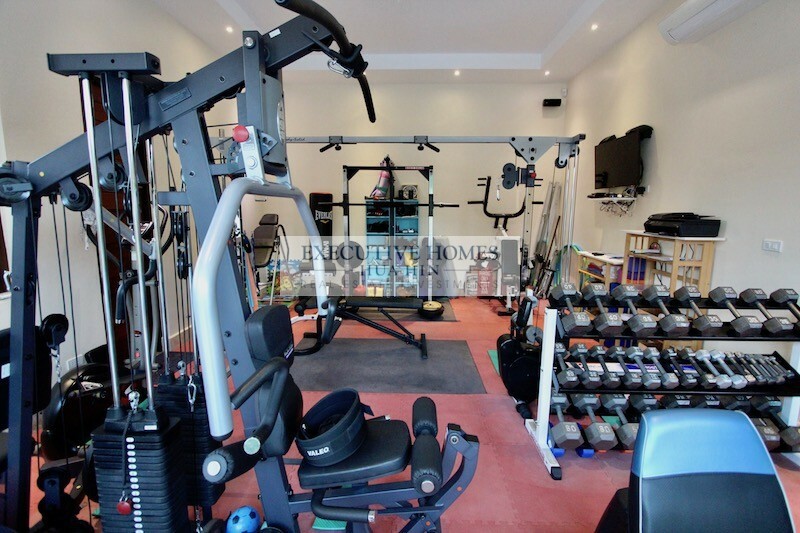 Attached to the carport is a large storage room with floor-to-ceiling shelving and doors on opposite ends for easy access. 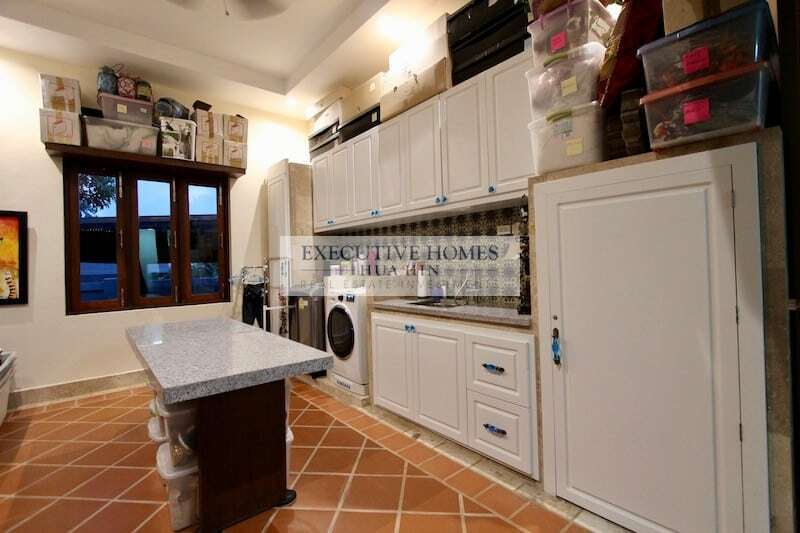 Off of the carport is a work table with sink, storage shelves and work top. 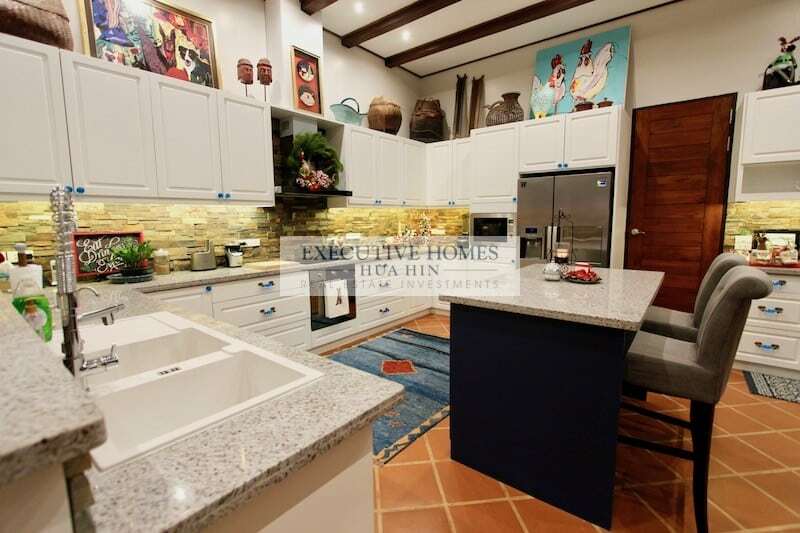 Ramps from the carport to the covered terrace provide easy, convenient access when loading or unloading groceries and other heavy items. 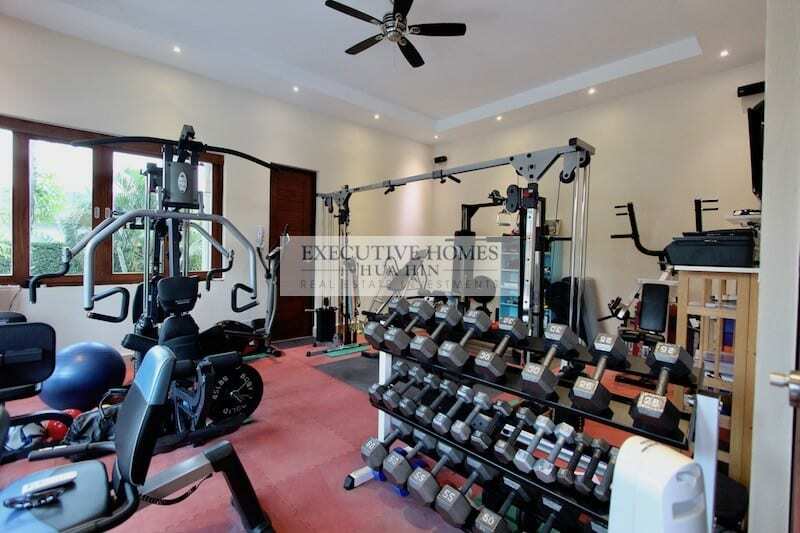 The property also includes 5 kW solar panels, which greatly reduces the monthly electricity bills; there are also back-up batteries which can power the house even during a power outage from the main grid. 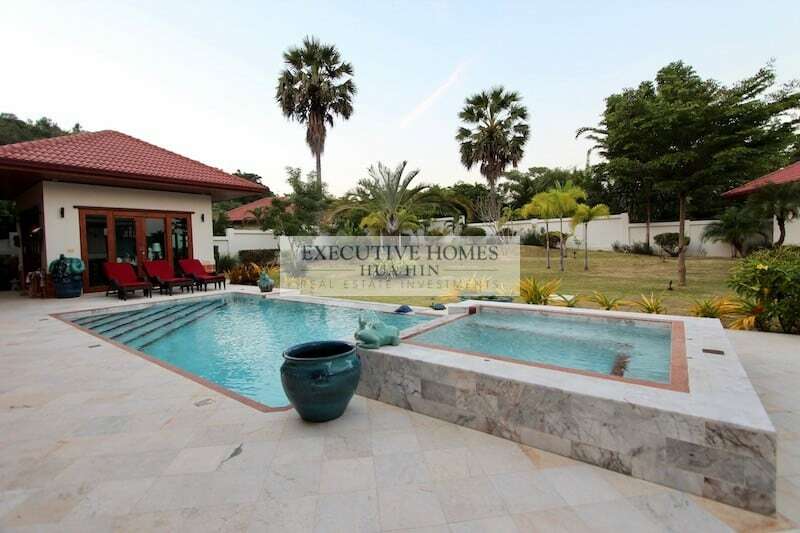 There is a privacy wall surrounding the entire property plus a motorized entrance gate. 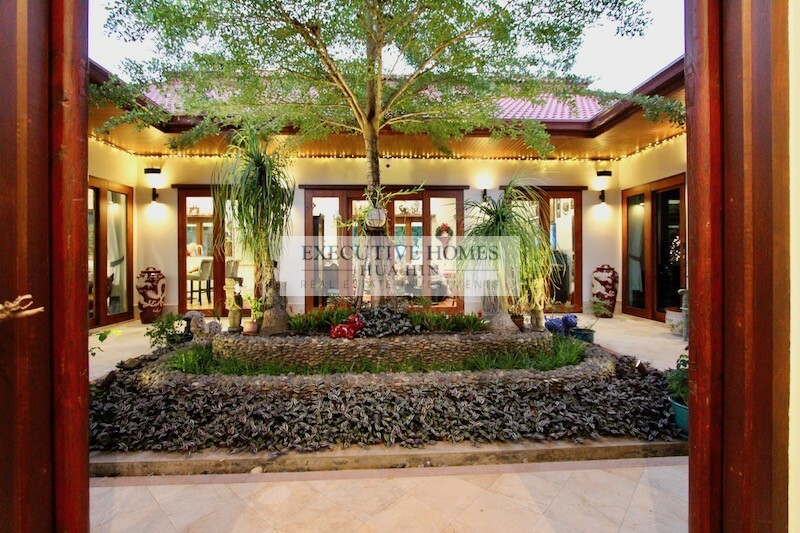 The home is located within a completed, luxury development of similar style and quality homes. 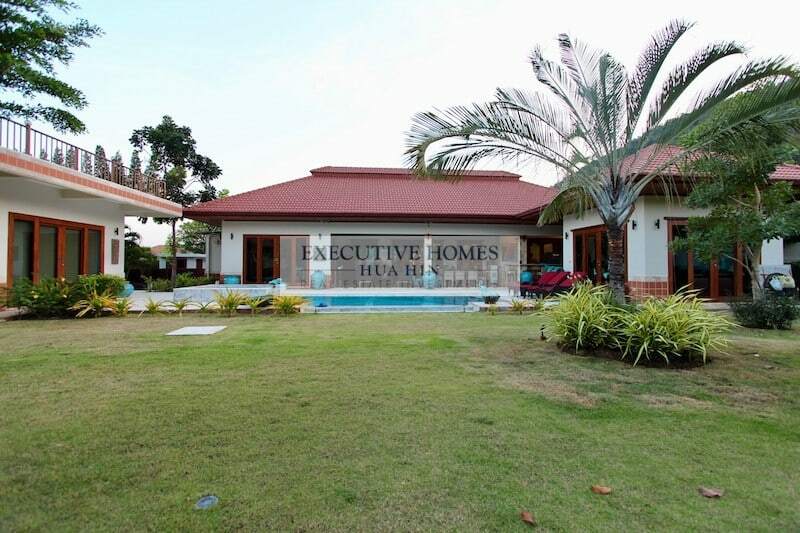 The distance is only about 1.5 km to the beautiful Kao Kalok beach where there are many resorts, restaurants, cafes and shops; Pranburi town center is less than 10 minutes by car; and downtown Hua Hin is approximately 25 minutes by car. 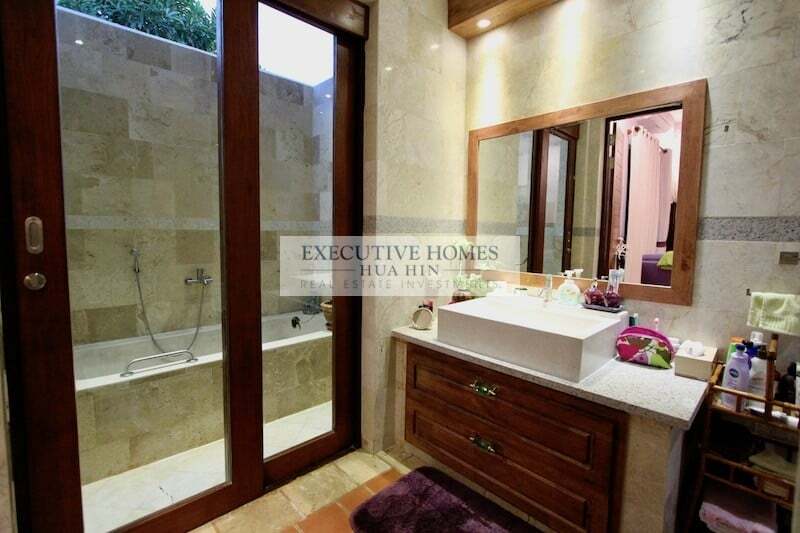 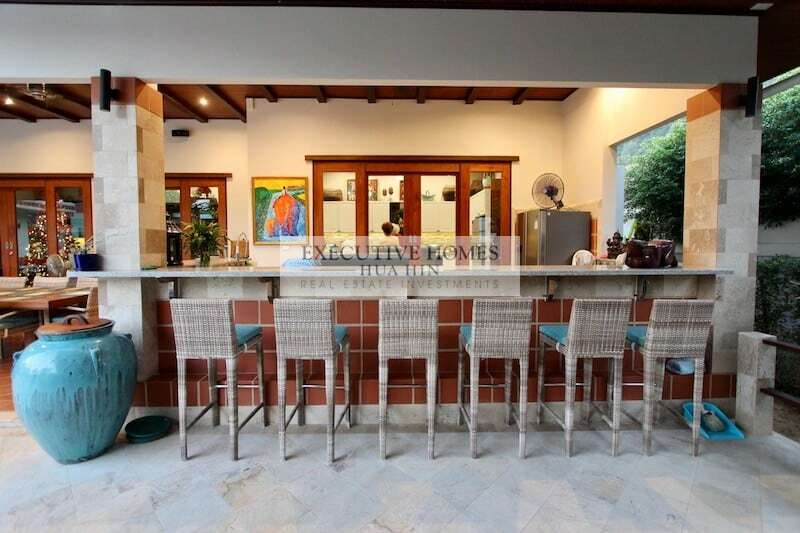 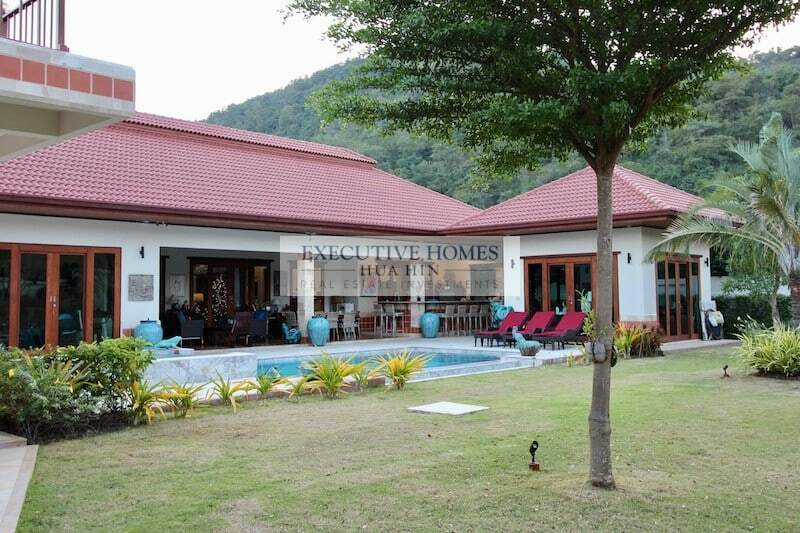 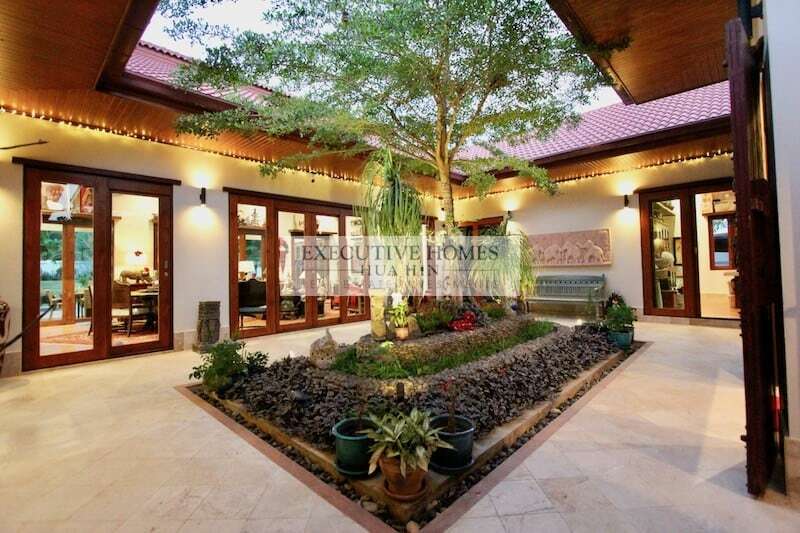 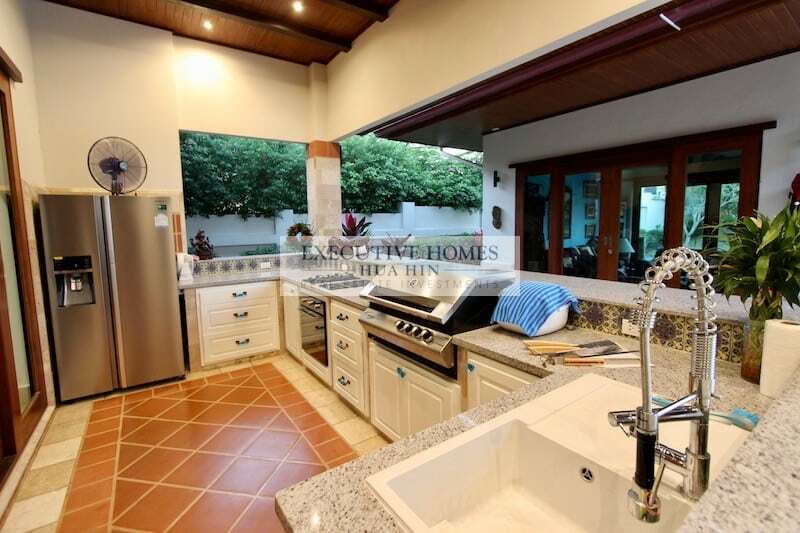 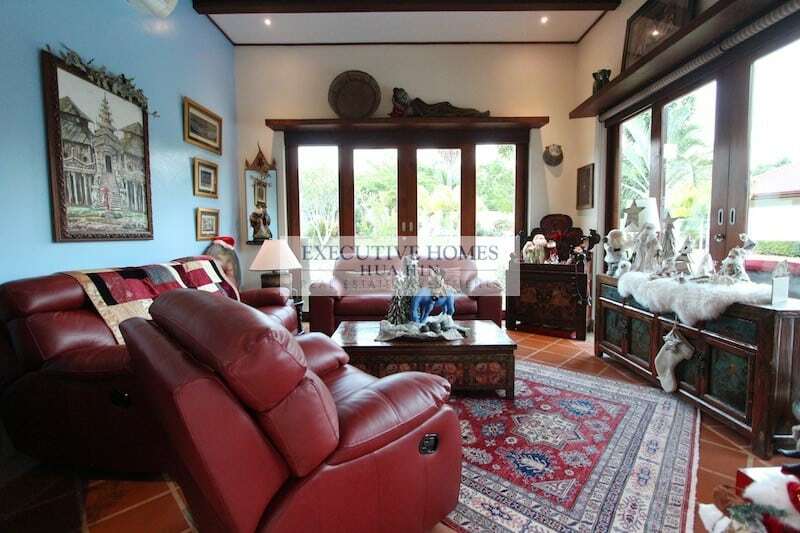 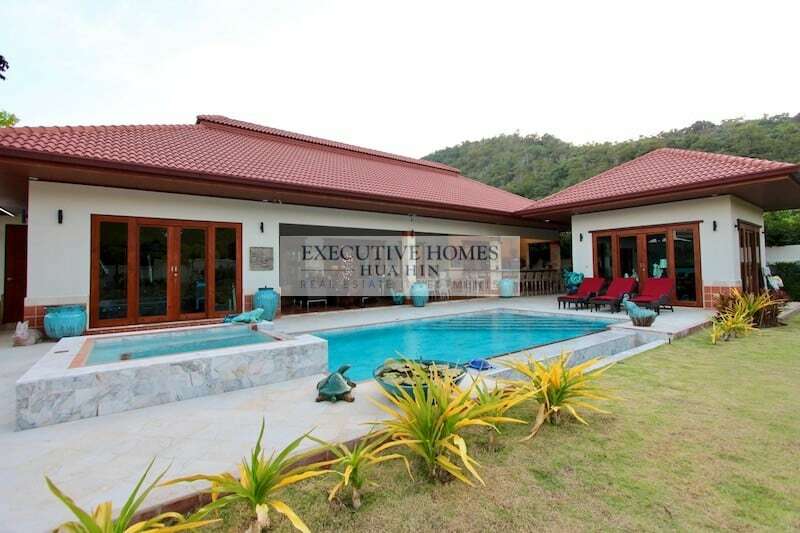 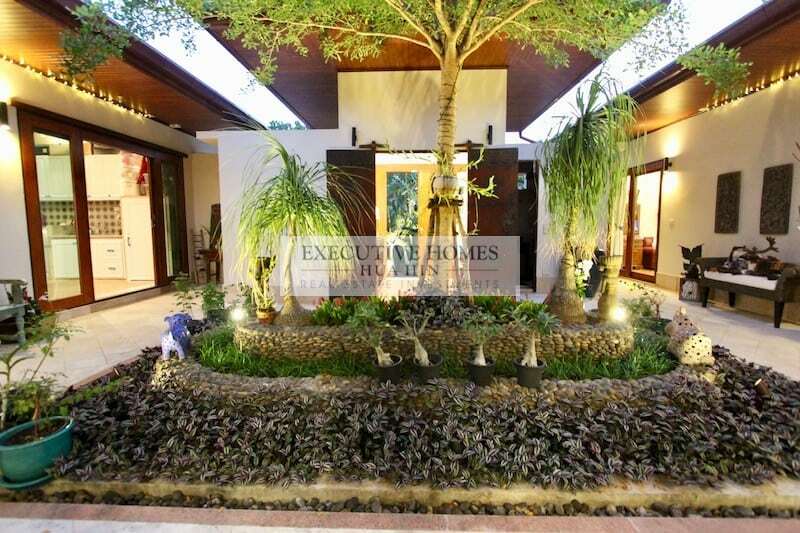 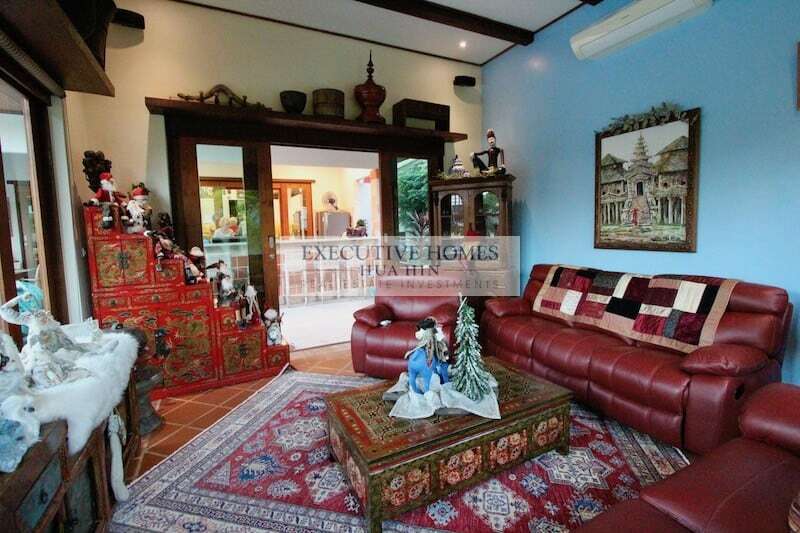 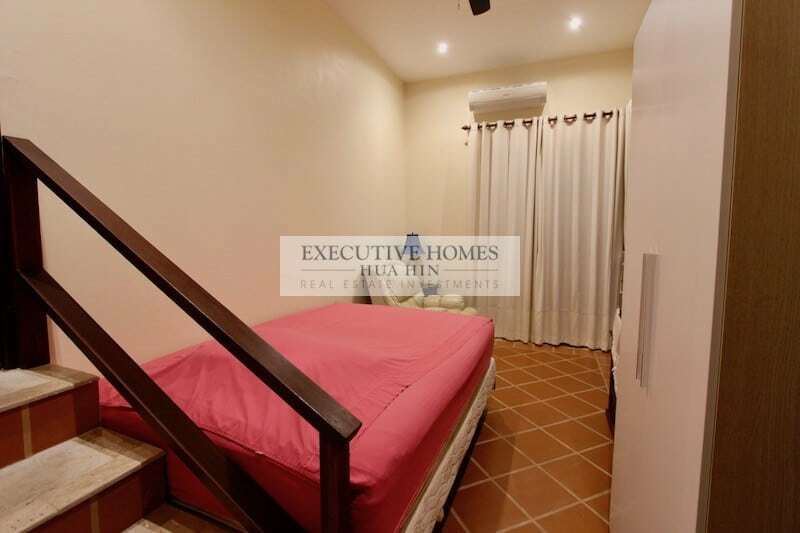 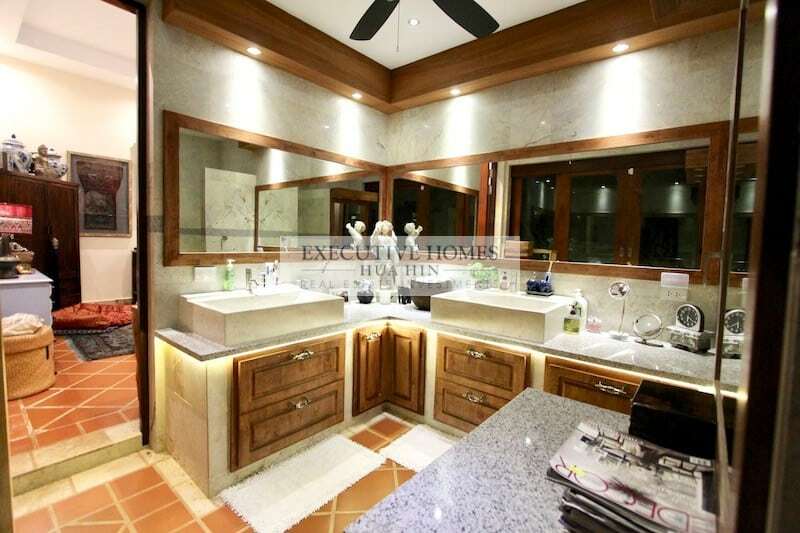 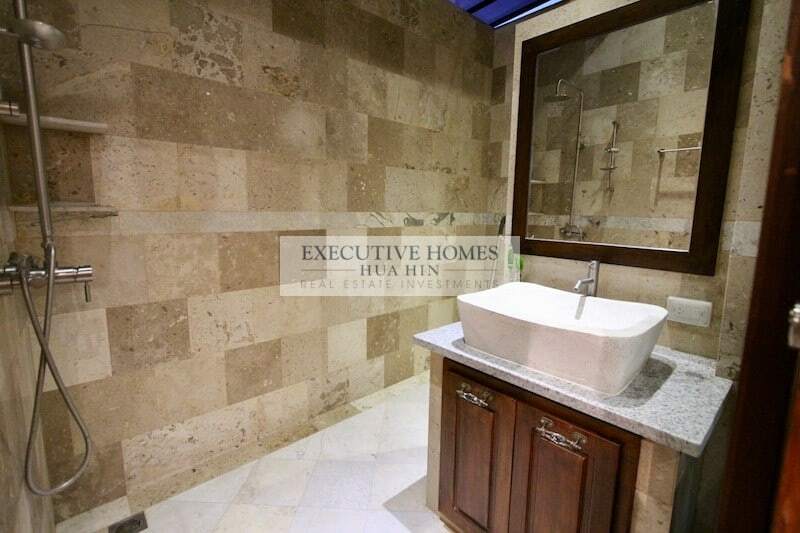 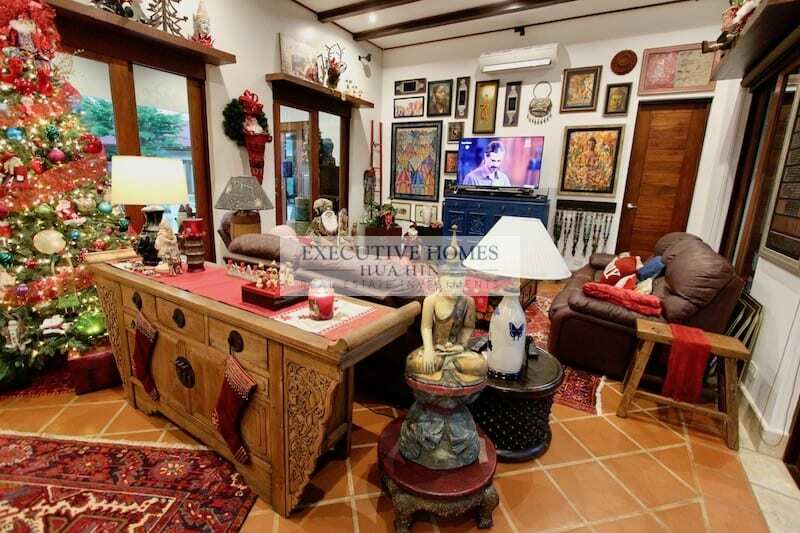 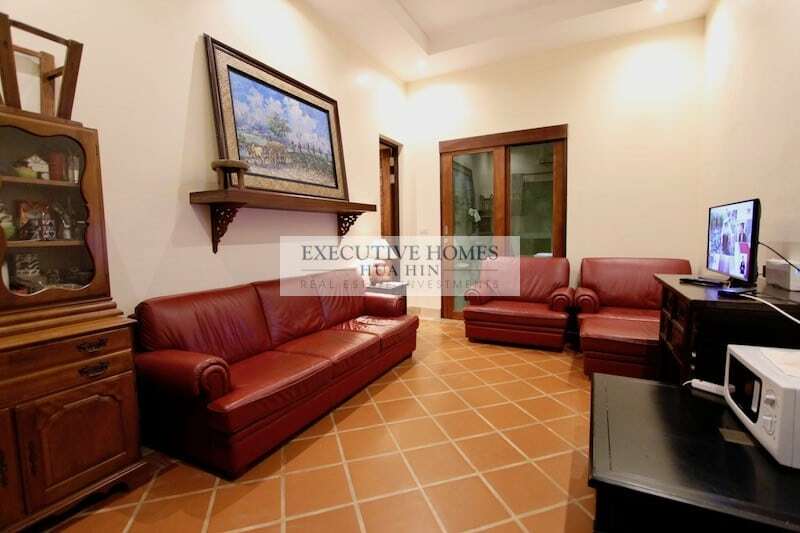 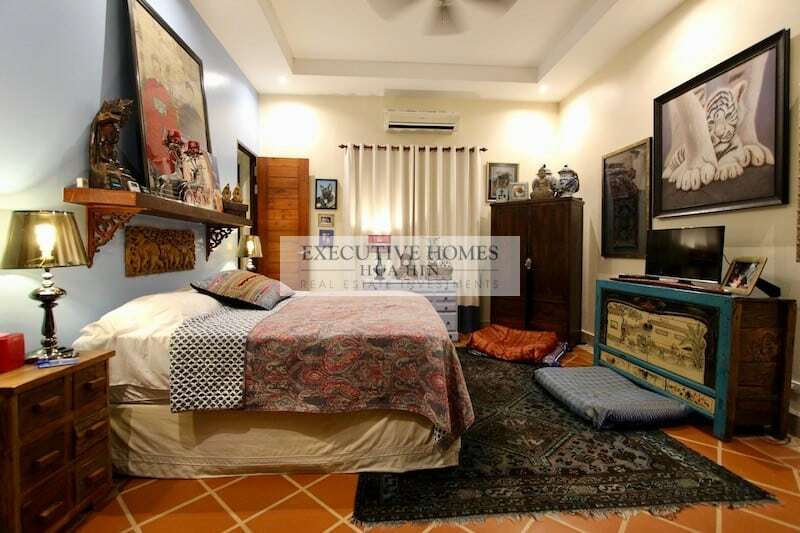 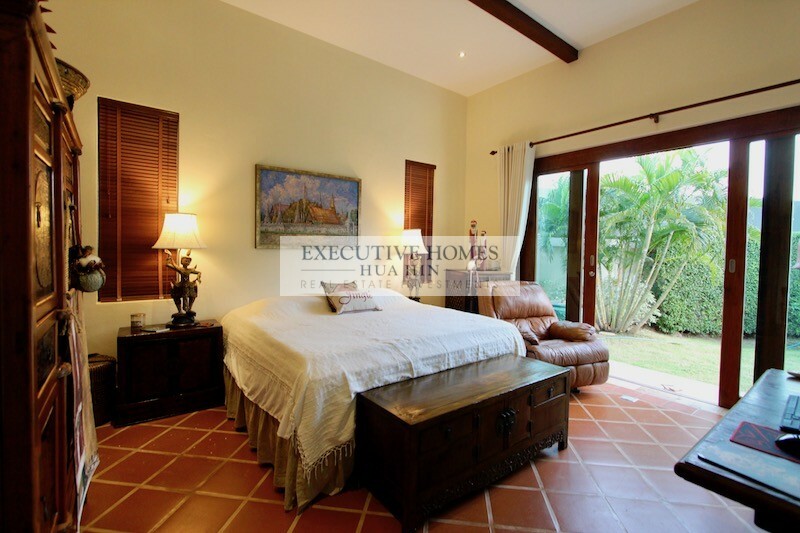 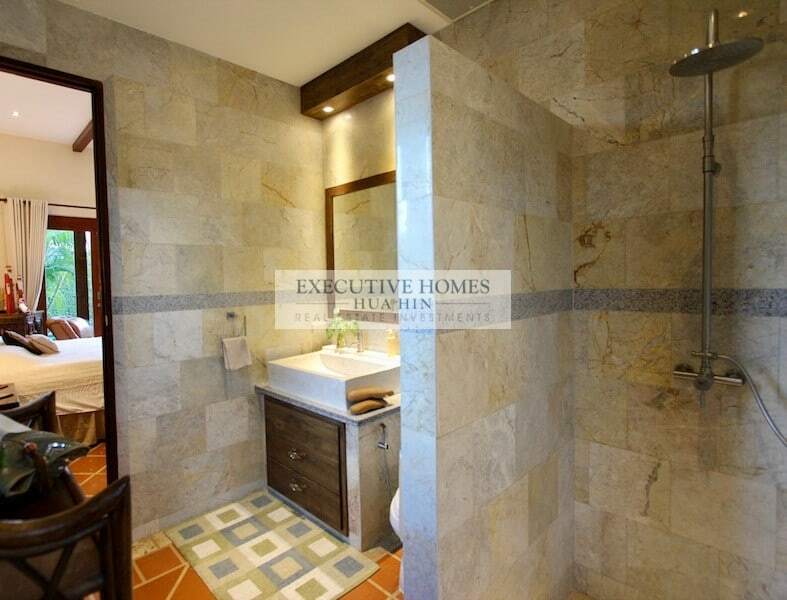 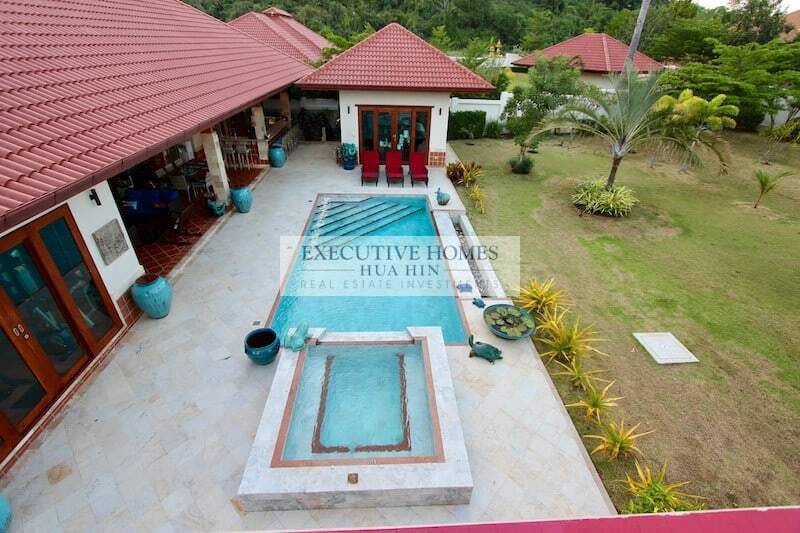 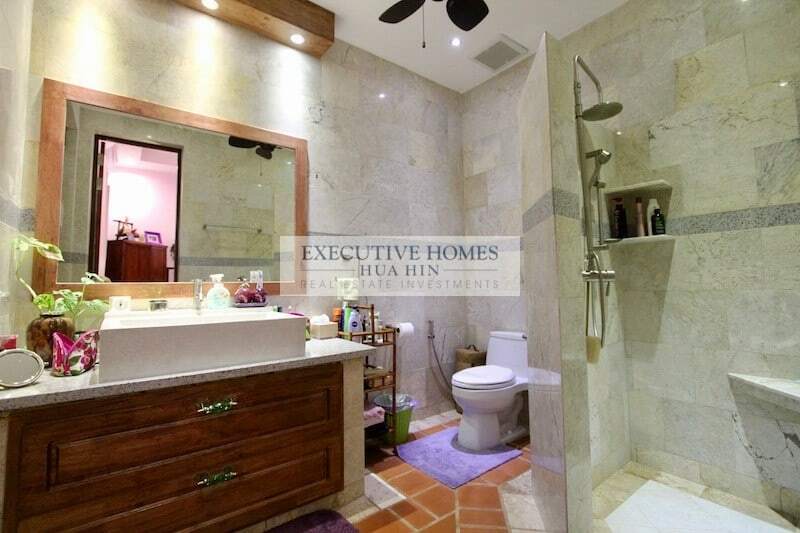 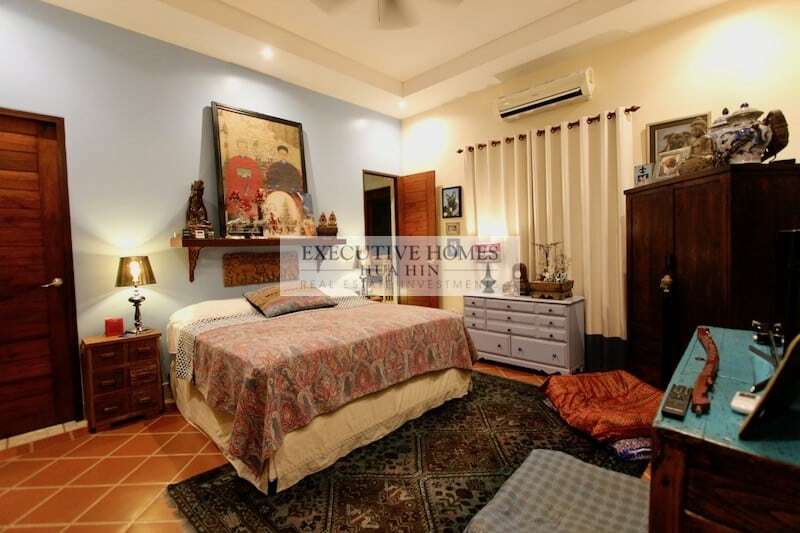 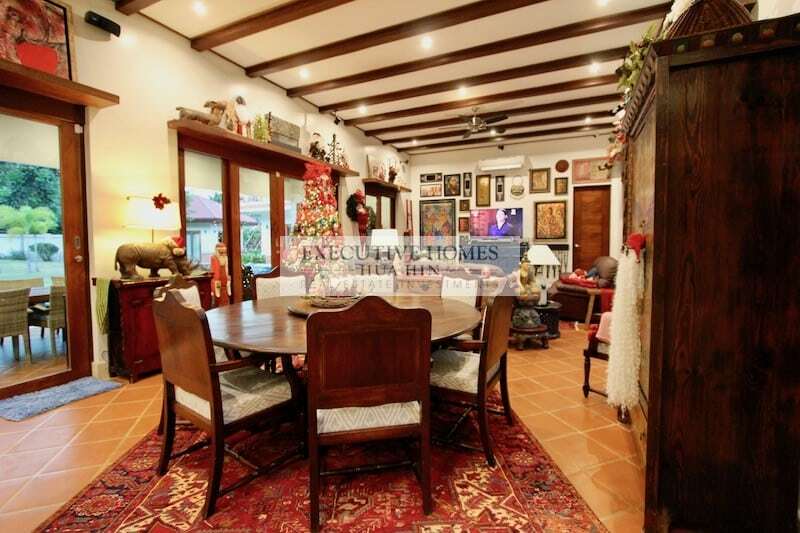 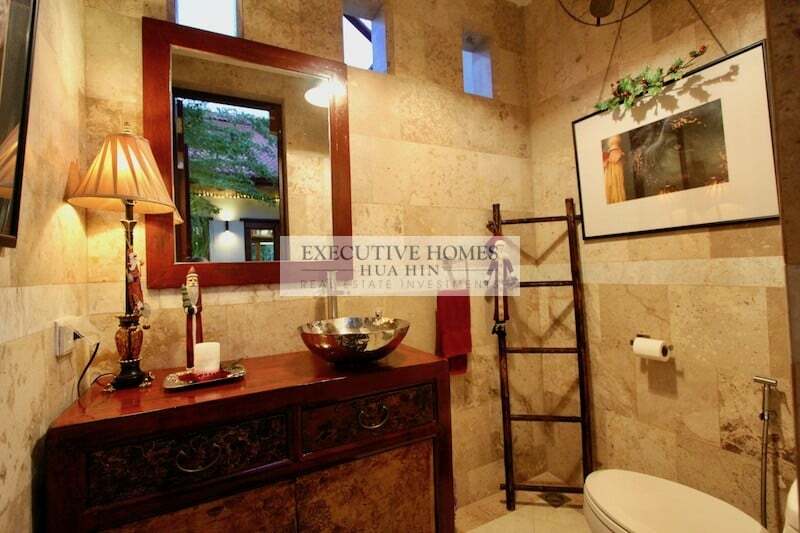 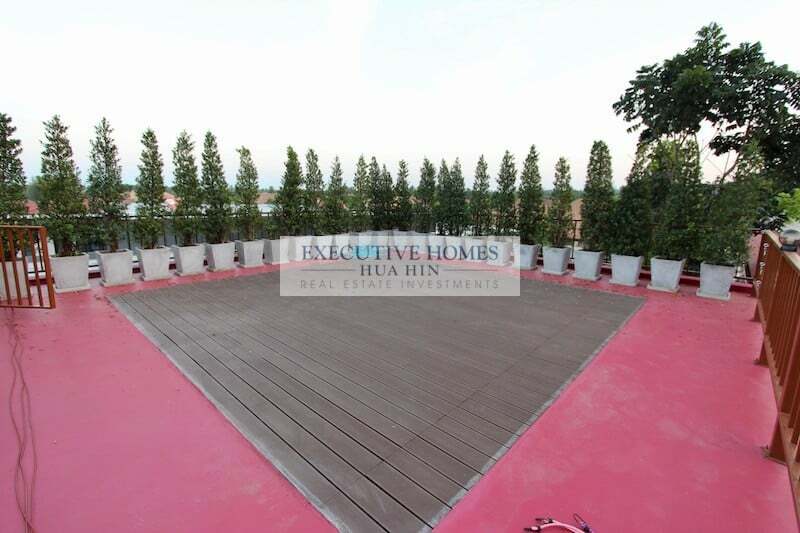 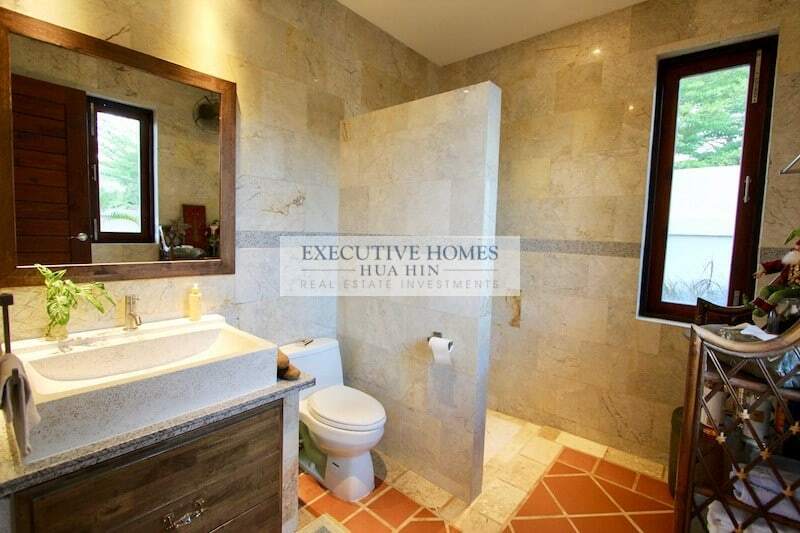 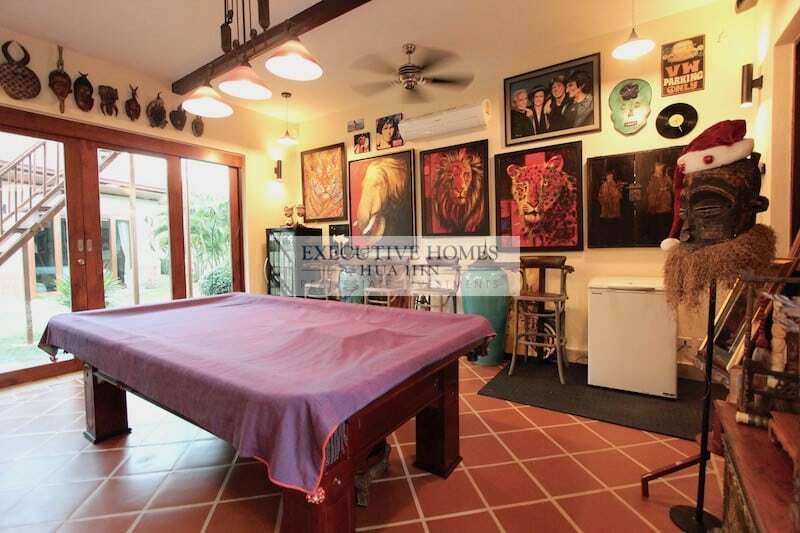 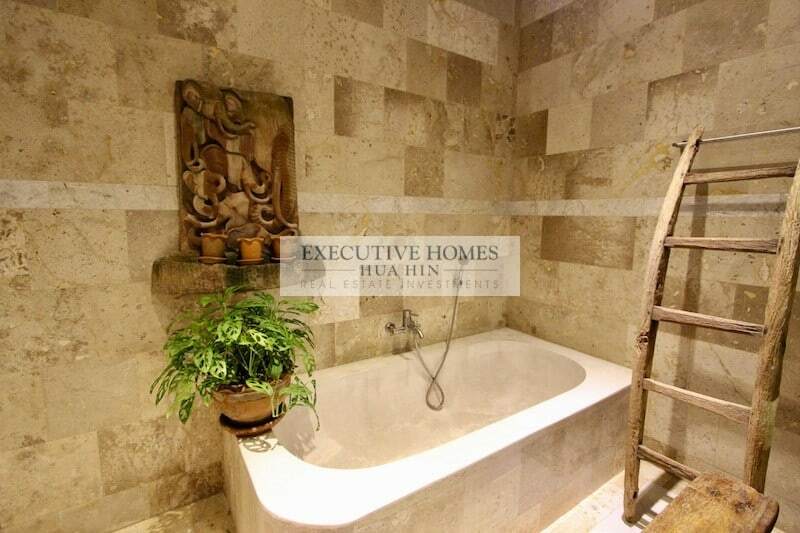 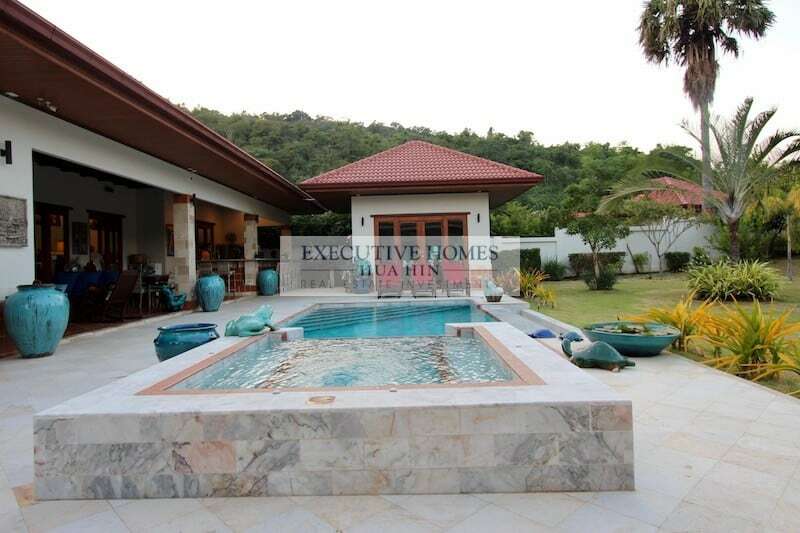 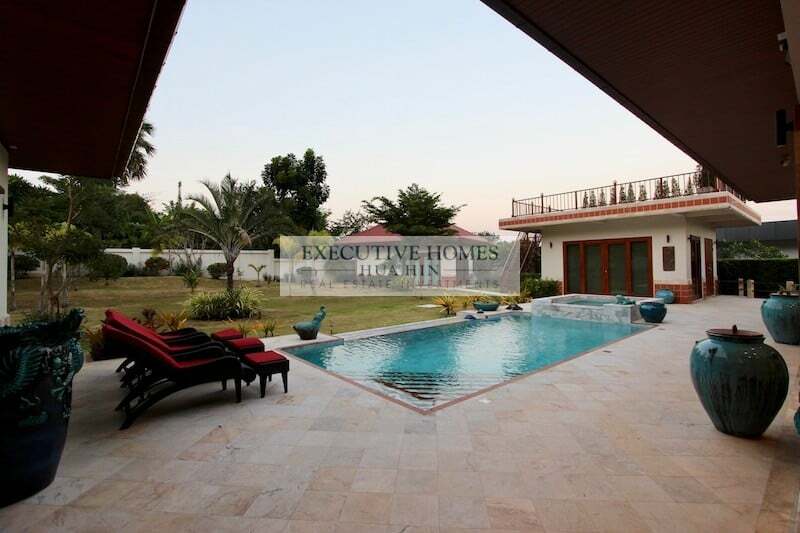 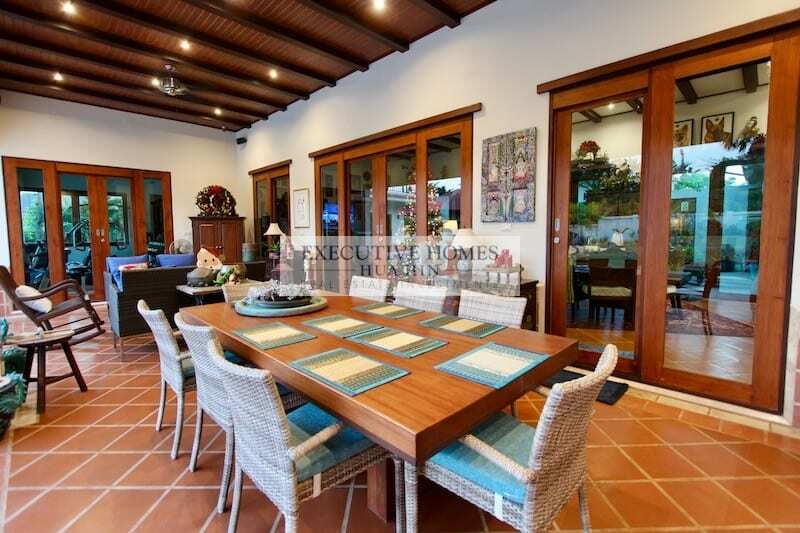 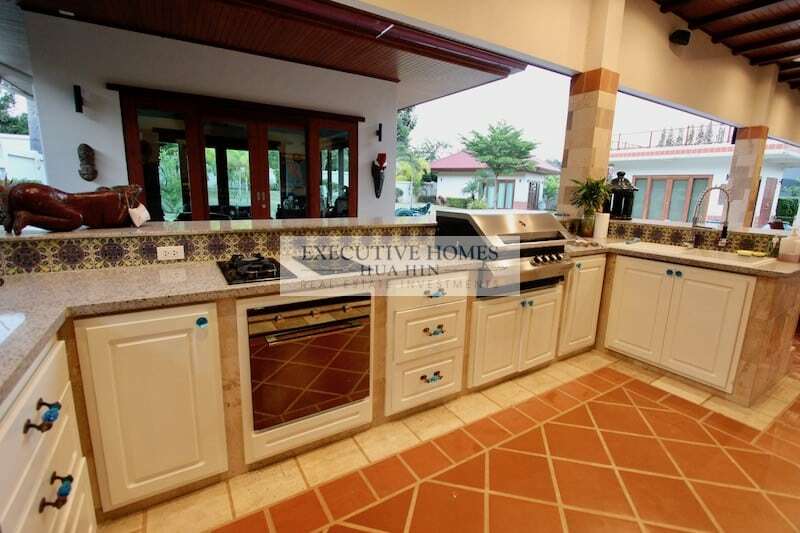 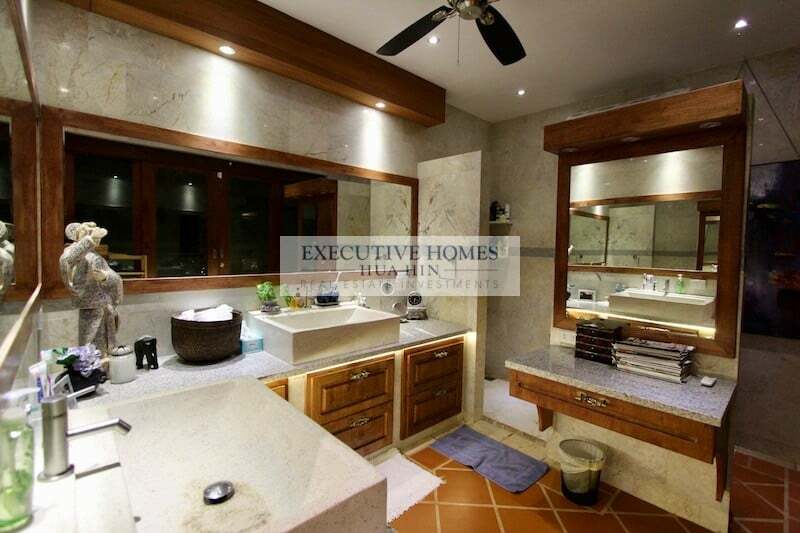 For more information and to schedule a viewing of this stunning Bali style home for sale in Kao Kalok, please contact Executive Homes Hua Hin at +66(0)85.264.2158.